Double the Paisley fun with this 2 layered bow. 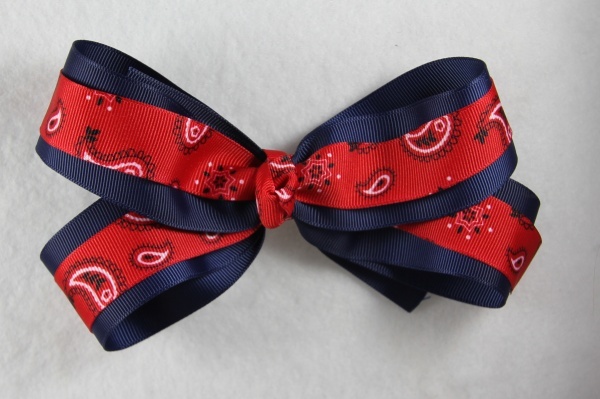 There is a navy blue bottom layered with a red paisley ribbon. 70" of ribbon are wrapped in this great bow. The paisley has white, red and navy blue within the patterns and this is what wraps the French knot in the center of this bow.